Have a group in town? Need to plan a dinner meeting? Don&apos;t feel like hosting that family gathering at your house? Thankfully, there are many places in Hendricks County that accommodate large groups. Whether your group is here for an event, tournament or tour, here are a few places I would recommend for group dining. Keep in mind though that this list isn&apos;t intended to be all inclusive, just some of my favorites. I can tell you first hand that you and your group will have a great experience at Boulder Creek Dining Company in Brownsburg. Not only do they have plenty of space to accommodate parties -- including a semi private area, bar area, and outdoor seating -- but they have great food! As a part of the Cunningham Restaurant Group, their menu contains a wide variety of dishes from sandwiches to filet mignon and everything is delicious. The environment is both upscale and family friendly. I couldn&apos;t go very long without talking about a regional favorite in the Mayberry Cafe. Located on the square in Danville with the old school police car parked right out front, this is a unique, group-friendly place to eat. Full of Andy Griffith Show nostalgia, with reruns playing on every TV in every room, there is plenty of space in their dining room. But they even offer an upstairs area for larger parties with elevator access. Plus, the home-cooking style food is always enjoyable! Green Street Pub and Eatery is another one of my favorites in Hendricks County. This long-time Brownsburg favorite has a ton of space to offer in their dining room and bar with a separate room for bigger parties. Their food is best described as "pub grub," and includes a tenderloin sandwich voted "Best in Hendricks County." It is a casual place that caters to family and friends. As a plus, they have live music every weekend. Dawson&apos;s Too! 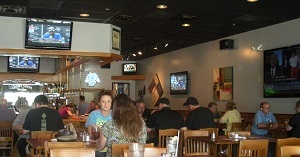 Sticks & Stones in Brownsburg also caters to group dining with a separate room for large parties. They offer a variety of menu items, including sandwiches, salads, pastas, steaks and more. 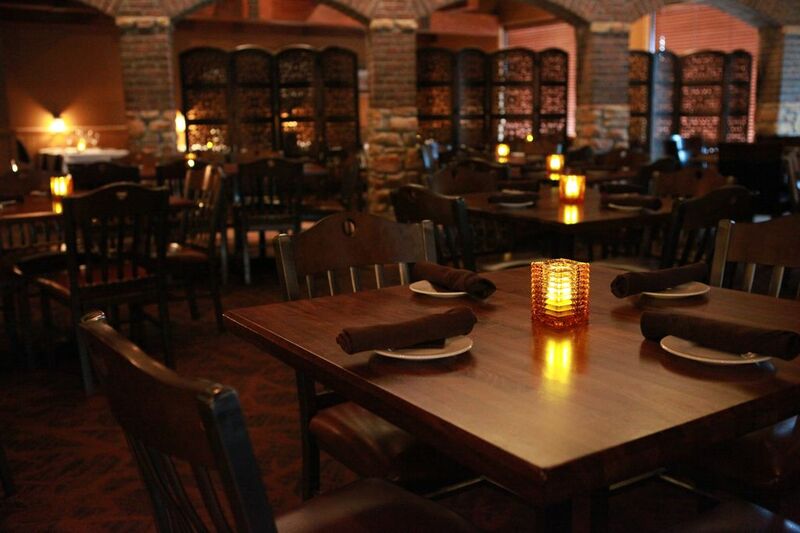 With a comfortable atmosphere and outdoor seating available, this is a great place to go for gatherings with friends. If you have not checked out the new MCL Cafeteria in Avon, you need too! I was pleasantly surprised with my visit to the newest edition of the MCL chain. It was so nice! With a great atmosphere and great food, this is a top pick for group tours and parties. All of these places have delicious food, quality service and are more than willing to work with groups to make sure you enjoy your experience. Make sure you make a reservation before bringing a big group though, and as a former waitress, I would like to add one more thing -- be good to your waiters and tip well. Did you know that Visit Hendricks County can help you make arrangements for group menus and pricing that will make your planning easier or that our locally owned restaurants offer a variety of menus and styles to match any group&apos;s tastes? For more information, click here or call our office at (317) 718-8750 and ask for a member of our sales team. We would be happy to assist in making your planning and ultimately your group experience easier. Lauren is Group Sales and Sports Management intern at Visit Hendricks County. She is currently a senior at IUPUI working toward a degree in Communications. Lauren enjoys live music, sports, and being outdoors.